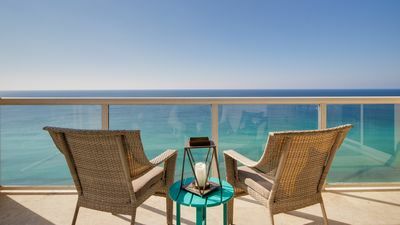 Gulf Front, Top Floor Views with Family Elegance. Book Now for 2018! 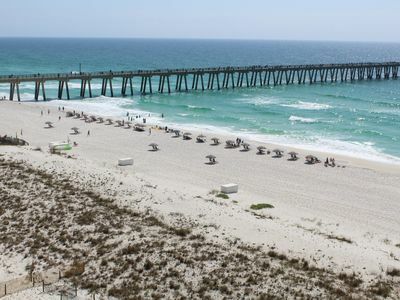 Known as Florida's Best Kept Secret, Navarre Beach is that quaint, family-friendly spot you've been searching for, minus the congestion of some of the more commercial vacation sites. 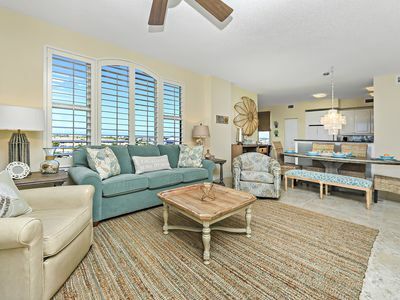 Our unit is just steps off of the east elevators on the very top floor, assuring you of the most incredible views of both the Gulf and Santa Rosa Sound. With nine ft. ceilings and over 1500 sq. 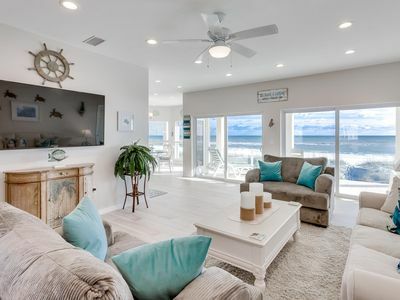 ft., condos in Navarre Beach Regency are spacious and comfortable with floor to ceiling/wall to wall double sliding glass doors in both the master bedroom and the great room. 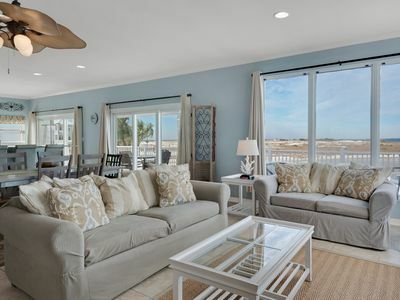 The private 30' x 8' balcony has comfortable seating for 8 with a bistro table, love seat, and 2 lounges. 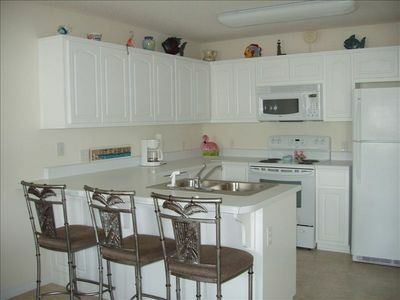 The fully functional, well-equipped kitchen opens into the great room. A breakfast bar for four connects the kitchen to the large dining area. 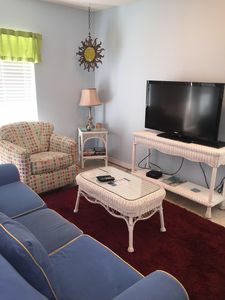 The living area has two sofas (one a queen sleeper sofa) and two comfy chairs, as well as a flat screen TV. Free wireless is always available. A full laundry/storage room is off the kitchen. 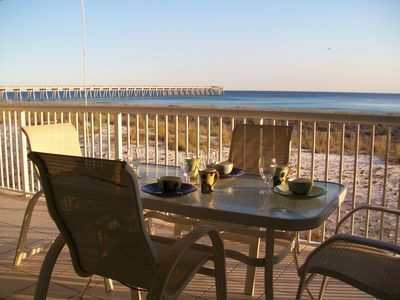 In the master suite, enjoy a king size bed, or take a cozy nap in the chaise over looking the Gulf. The over-sized second bedroom sleeps four comfortably in 2 queen beds. 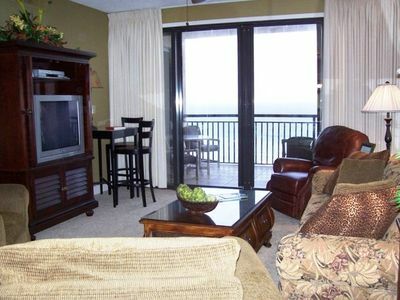 Both bedrooms have full dressers, double closets, and flat-screen tvs. The master bath has a whirlpool tub, and the 2nd bedroom has an attached full bath as well. 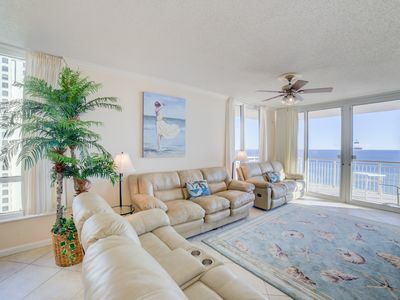 The Regency boasts the longest beach front per unit, so there is plenty of room for all! The over-sized pool is heated March - October, and a full fitness center is located near the office on the 1st floor. Under the office near the pool area is a handy storage space where you can place your beach toys and chairs for the week. 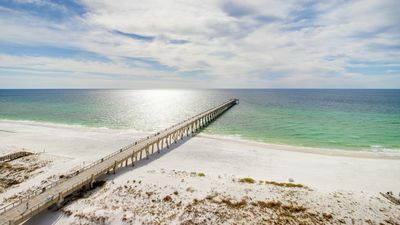 In addition to the food and drinks at Juana's Pagodas or Lagerheads on the Gulf, you can enjoy the longest pier on the Florida Gulf Coast, Navarre Beach Marine Science Station with summer camps for kids, three man-made diving/snorkeling reefs, and the sea turtle conservation center. Panhandle Butterfly House is located just across the sound at Santa Rosa Park. 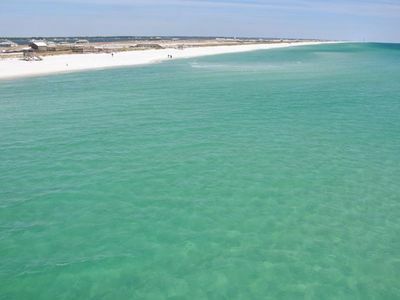 A paved bike/walking path runs the length of the island and continues through the National Seashore to Pensacola Beach. Great Dates Open! 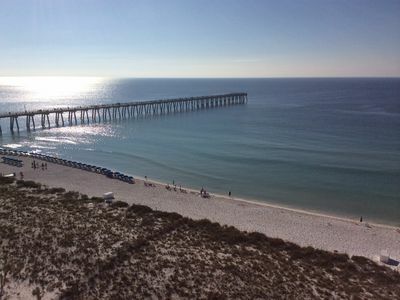 April 6-19 Open! April 26 - May 1 Open! June 8-15 Open! 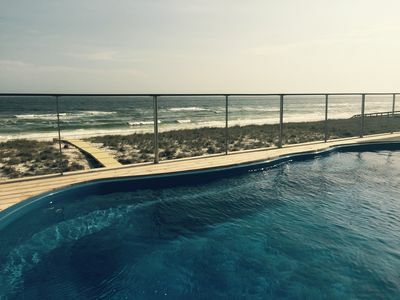 "1464 Bermuda Dr" Gorgeous home in Navarre Beach! 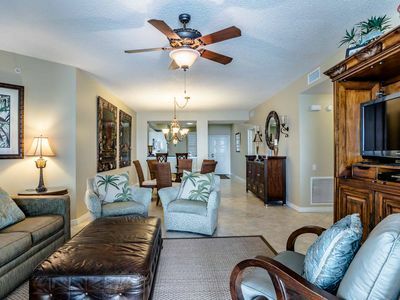 Beautiful Cabana del Sol - Don't Cut your summer short! 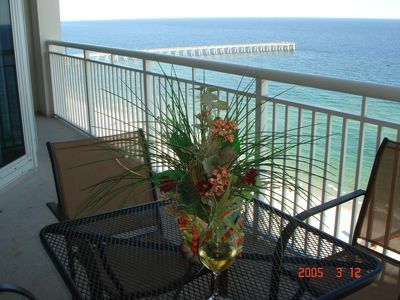 Gulf Front Condo in Navarre~ Gorgeous Beach Views ~ Directly on the Beach! 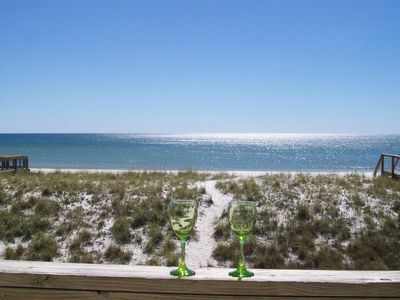 On The Beach with 3 king master suites...Welcome To Emerald Escape!! WEST 4F. 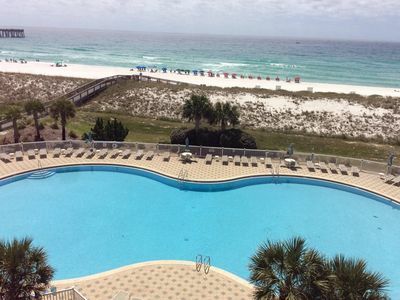 OPEN 4/22-29 NOW ONLY $2231 TOTAL! CORNER UNIT! 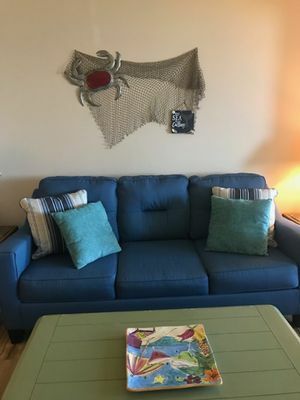 NEW DECOR! 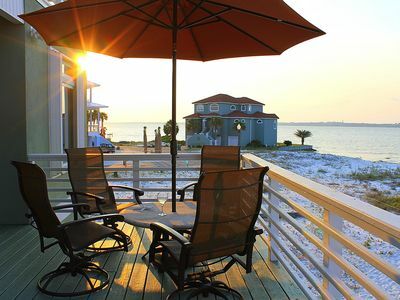 Sea Salt Cottage: Amazing home located on Navarre Beach. 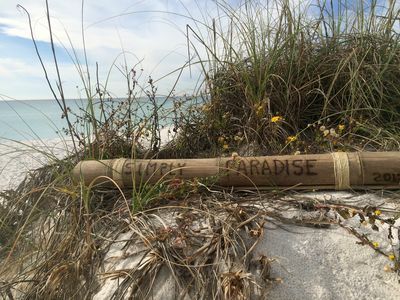 Sleeps 13 comfortably!